Wow – this is so creamy and surprisingly tasty! I used full fat coconut milk instead of the recommended almond milk. Thanks for reading, enjoy! Combine water, salt, and grains in a medium pot and bring to a boil. Lower the heat to a simmer, cover the pot, leaving the lid slightly ajar to let air escape, and cook for 25-30 minutes, or until water is absorbed and grains are tender. At this point, you can use the grains in any way you’d like, or move straight into the porridge. 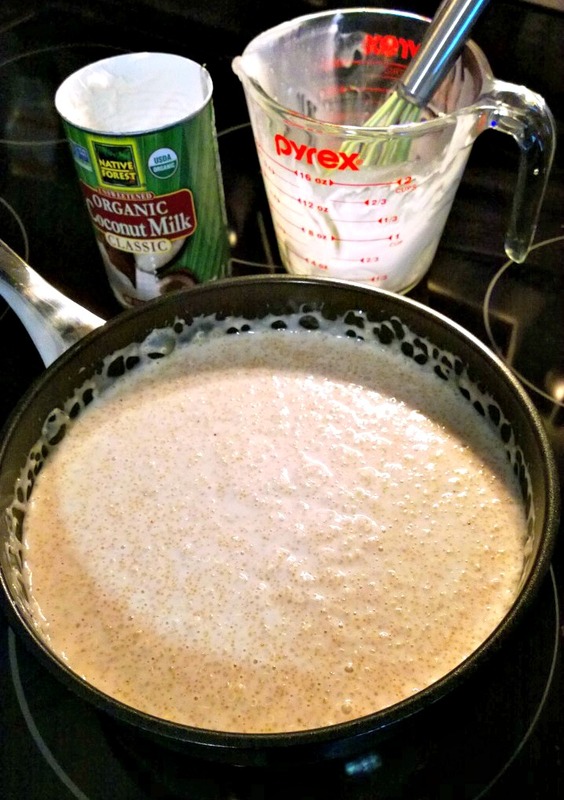 To make the porridge, combine the milk and sweetener in a medium pot and add the cooked grains. Simmer over low heat for a few minutes, or until most of the milk is absorbed a bit. 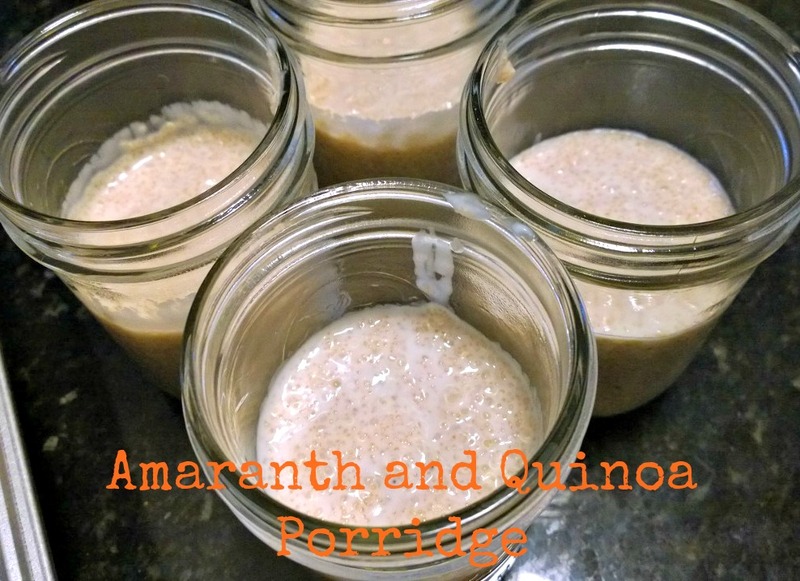 Divide the porridge into four bowls or glass jars. Top with fruit, nuts or anything else you like! Quick Post: This salad was everything I wanted it to be – sweet, spicy, smokey, tangy – perfect! The chicken soaked up all the flavors of the marinade and once grilled, it caramelized and became it’s own finger-licking-good sauce. The surprise hit for me was the lime quinoa – I cooked it in homemade chicken stock with a little salt and pepper. Thanks for reading, enjoy! Add the chicken breasts to a baking dish or Ziploc bag and season with salt and pepper. In a bowl, whisk together the olive oil, adobo, honey, mustards, cilantro and garlic. Pour the marinade over the chicken, covering it evenly. Place it in the fridge and marinate for at least 2 hours, or even overnight. When you’re ready to make the meal, heat a large nonstick skillet over medium-high heat. Add a tiny bit of olive oil and add the chicken, then cover the skillet and cook until the chicken is deeply browned on both sides and cooked in the center, about 6 minutes per side. To make the salads, add the greens in a large bowl and toss them with a sprinkle of salt and pepper. 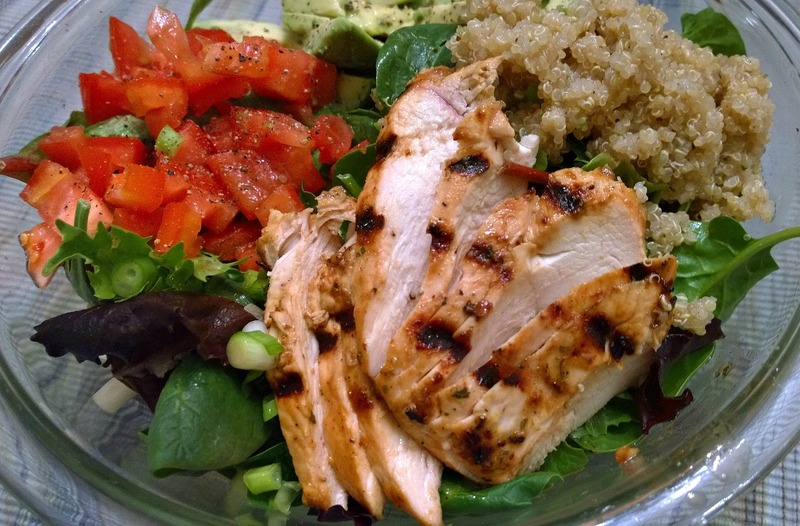 Add the chicken on top along with the quinoa, the tomatoes, cilantro, green onions and avocado. Drizzle the bowl with the lime juice, olive oil and honey. Serve! Add the quinoa and stock (or water) to a saucepan over high heat and bring it to a boil. Once boiling, reduce the heat to low and cover the pot. Cook for about 15 minutes, or until all the liquid is absorbed. Stir in the coconut oil (you can swap butter), lime juice, zest, salt and pepper. This is so good and I’m glad I found another use for my cooked quinoa. It’s a simple dish and a great way to clean out your fridge of all the little bits and pieces that would otherwise go to waste. 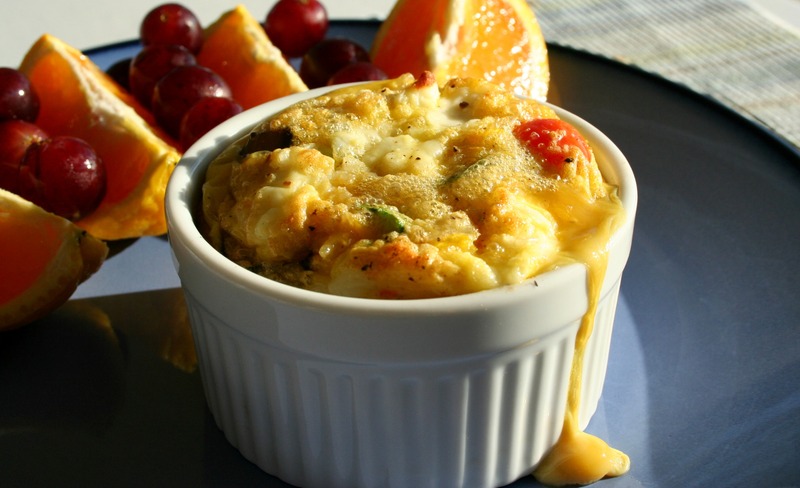 Baked egg dishes are so easy and versatile and this one is a great example of that. The quinoa adds a pleasing texture and flavor to this and ups the protein and fiber content of this tasty breakfast. I will make these again, and again. Thanks for reading, enjoy! Preheat your oven to 400* and lightly butter an 8 ounce ramekin. In a small bowl, whisk your egg and egg white. Mix in quinoa. Stir in salt, pepper, spinach, peppers, mushrooms and tomatoes until just combined. 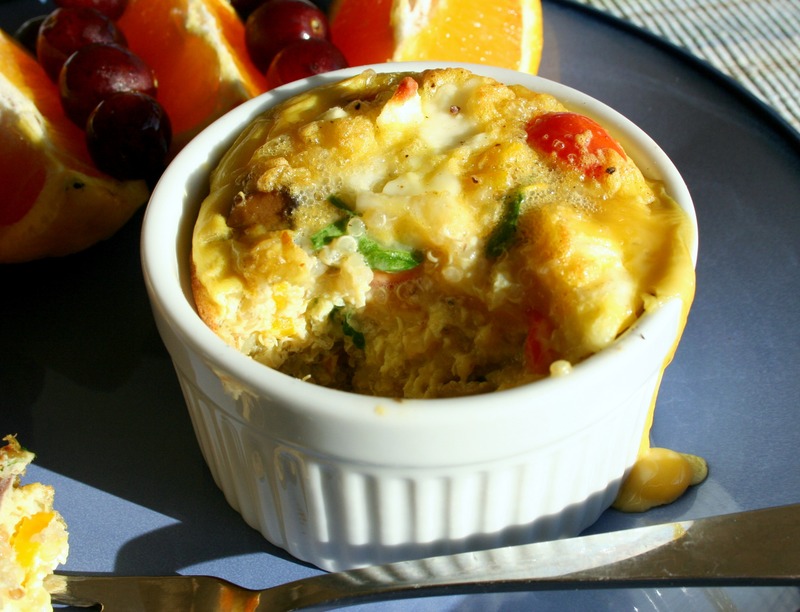 Pour into your ramekin and bake, uncovered for 20 – 25 minutes or until set. Serve with fresh fruit, enjoy! 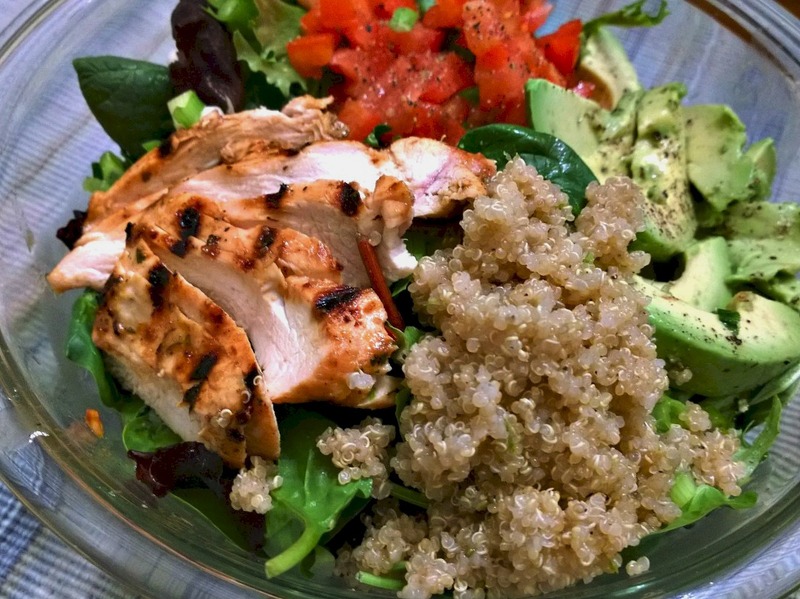 Quinoa – My 200th Post!! I picked up some quinoa from my local health food store the other day – it’s so much cheaper buying from the bulk bins. 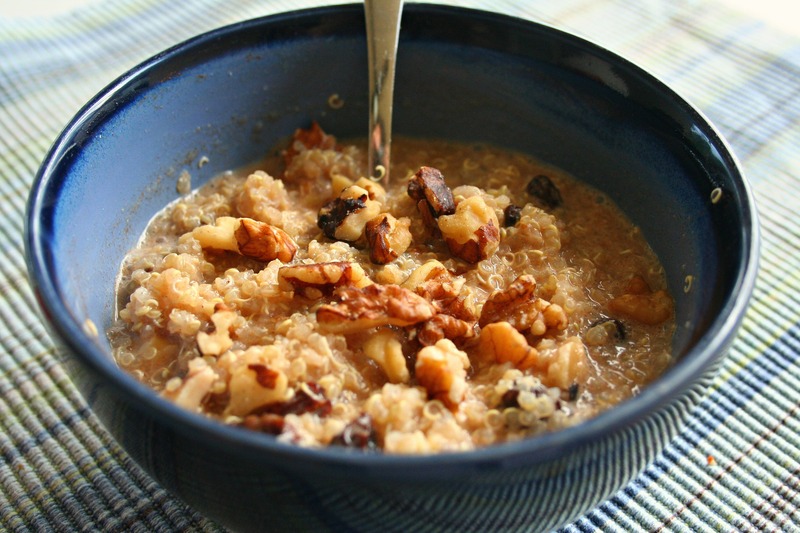 I have used quinoa once before to make a quinoa pudding – kind of like rice pudding, only slightly healthier. I remember that tasted great, so I’ll have to find another recipe to share with you – preferably a vegan version. Quinoa takes a few more steps to prepare than a box will tell you, and since mine didn’t come in a box I used this website for basic cooking instructions. All these steps listed are necessary to ensure mush-free, perfectly cooked quinoa. The only change I made was adding a pinch of kosher salt to the water. Rather than copy all her listed instructions down, here’s the link that’s full of helpful tips and nutrition information on this “super grain”. The first picture is the product of all those steps – it really was perfectly fluffy 🙂 I used a cup of the cooked quinoa to make this quinoa breakfast bowl. It was tasty and super filling with out the bloat. I was satisfied for hours after eating this. Thanks for reading, enjoy! 1. 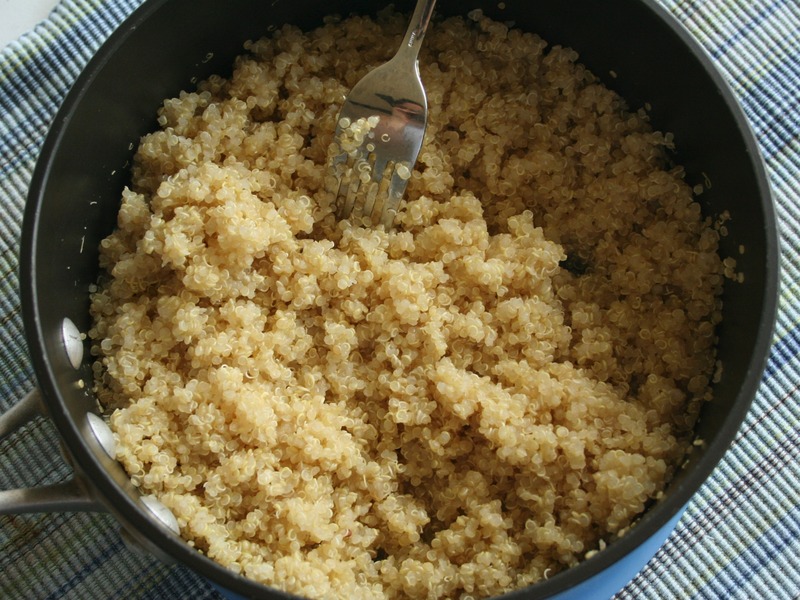 Spoon your cooked quinoa in a bowl, top with your desired amount of milk and microwave for 1 to 2 minutes to heat through. Add your desired toppings and enjoy!